Ujjvala is an entrepreneur, reluctant lawyer and a true feminist. Ujjvala today manages Aveksha Multi Specialty Hospital, a 125 bedded Multi Specialty hospital in Bangalore. Aveksha is committed to serving people with quality Healthcare services for the people of North Bangalore at an Affordable Cost. 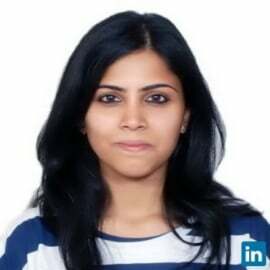 Ujjvala completed her schooling in Dubai, UAE and her law at ULC, Bangalore. From 2005 to 2009, Ujjvala was involved with AIESEC, the world’s largest student run organization offering internships and leadership development opportunities to students. She was Vice President of AIESEC India, responsible for 20 local offices and 2000 students, where she led the organization in achieving its growth targets, under the guidance of Mr. Adi Godrej. She started her career at Inclusive Planet, a start-up venture focused on greater literary access for India and the world's visually impaired which succeeded in changing the Indian copyright law but failed to reach commercial viability. She then went on to work with a senior litigation lawyer in Bangalore. In her free time, she’s a voracious reader, an inquisitive traveler, and a marathon runner. One fact nobody knows about Ujjvala is that she attended Coorg Public School with the intention to study and practice medicine!